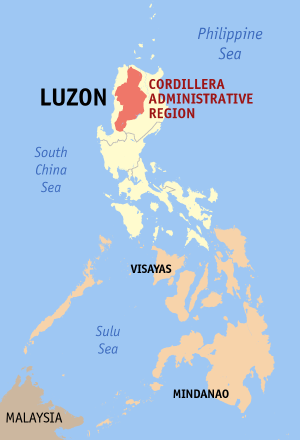 The Cordillera Administrative Region (CAR) will be marking its 36th foundation anniversary this July 15. The day is a special non-working holiday in the provinces of Abra, Apayao, Benguet, Ifugao, Kalinga, and Mt. Province and the chartered city of Baguio by virtue of Proclamation 608, which was signed by Executive Secretary Paquito Ochoa Jr. last June 20. The holiday falls on a Tuesday. Read the full text of Proclamation 608 here. The theme of this year’s celebration is “Bridging One Green Cordillera.” CAR was established in 1987, during the term of then-President Corazon Aquino through Executive Order 220. In the said EO, Aquino noted “the constitutional mandate for the creation of an autonomous region in the Cordilleras.” Read the full text of EO 220 through the official website of CAR. The creation of CAR was meant to give the people of Cordillera the chance to “participate in the pursuit of peace and development” of the region. In the decades before Aquino came to power, most notably during the authoritarian rule of her predecessor Ferdinand Marcos, the peace and order situation in the region was threatened by the Cordillera People’s Liberation Army and other pro-autonomy groups. Formal cessation of hostilities began a few months after the 1986 People Power protests.